Have you ever noticed someone who may not be a supermodel, yet they have a confidence that is extremely attractive? Confidence is a tricky emotion. Let's take fitness for an example. 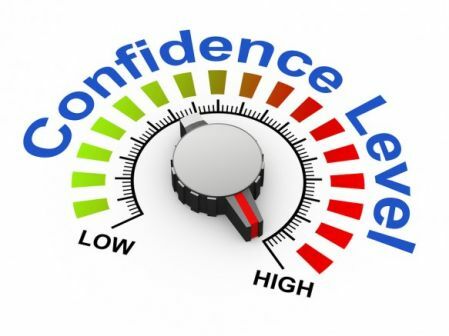 So many people believe that once they achieve a certain fitness goal (like losing "x" amount of weight), they will suddenly become more confident. While this can be true, it is actually more important to become confident along the journey to your goals, as that increased confidence motivates you more and more...pushing you and reaffirming your sacrifices, increasing the likelihood of actually obtaining your goals. It is so important to find a fitness program that builds your confidence along the way, not just one that sets goals so far down the road that you may quit before you ever reach them. Pilates is a great example of a form of fitness where confidence building plays a key role in your success. One of the best ways to look and feel thinner is to have good posture. Pilates helps create better posture by firming not only your abs, but your back too. With strong abs, a strong back, and proper alignment of your body, you'll stand up straighter. Standing up straight will automatically make you look thinner. Now, just imagine after taking a handful of Pilates classes, someone tells you how good you look and asks if you have lost weight! Even though you've just barely started on the journey to your goals, you are already getting compliments! Imagine how that would boost your confidence...and what that added confidence would help you to achieve, not only with your fitness goals, but with your life goals as well! By the way, did we mention that because your confidence is boosted, you are more likely to increase your focus on your health?...like watching what you eat, like taking the steps instead of the elevator, like being more active with your kids. All of these get you closer to your goals. With Pilates you've found a program where your beginning results become visible and the confidence that gives you creates a path towards your ultimate goals, with consistent emotional boosts along the way. Pilates is the path towards good health, reduced pain, and a lifetime of being able to do the activities you cherish the most. Try Pilates today and you'll see why we love it so much!